Casting is what your guests are asking for! 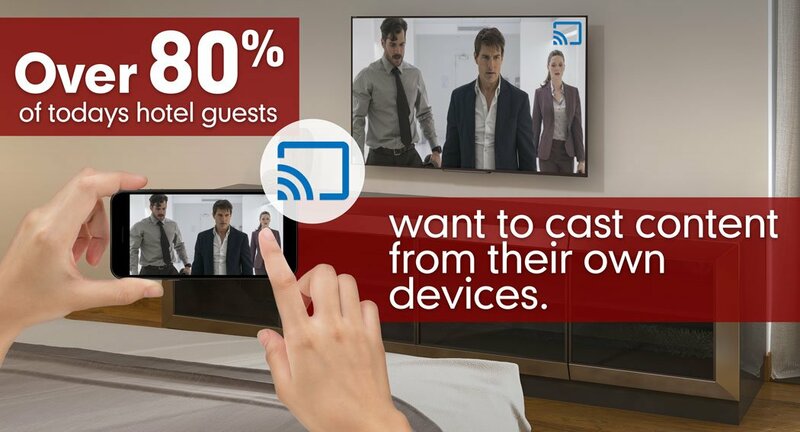 The BeyondTV GuestCast™ solution will boost guest convenience and in-room entertainment satisfaction. As the vast majority of guests increasingly look to video streaming services as the main source of television entertainment, hotels around the world are under pressure to deliver the advanced functionality that is increasingly expected by today’s travelers. 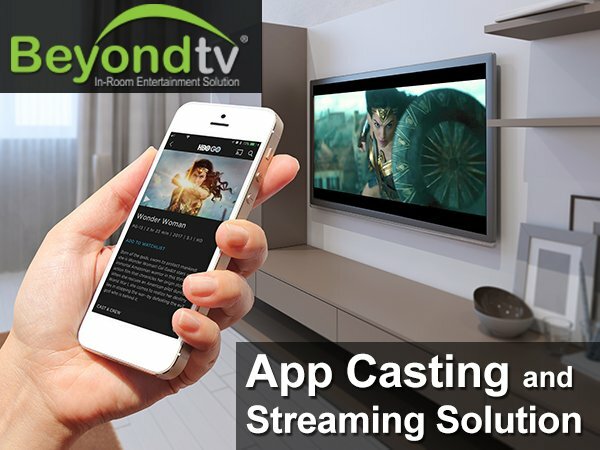 BeyondTV’s GuestCast™ platform caters to this need by allowing users to directly cast content from thousands of Apps. Leveraging a guest room’s existing Wi-Fi connection, guests equipped with an iPhone®, iPad®, Android phone and tablet, Mac® and Windows® laptop can effortlessly and instantly make use of a larger screen. Get Your FREE BeyondTV Demo Today!